Fly and lure fishing for Bass around Hayling Island The wrong choice. ….as predicted the Bass turned up over this weekends spring tides and Sean was out to meet them lure rod in hand. We have added a few new things to the site over the last few months which some of you may have missed. First and most excitingly we have expanded our reporting area with addition of Leo (Poole & Around), Hazel and Darren (Solent & around) and hopefully a couple of more areas are coming soon! If you have a fishing tail to tell please do get in touch with Sean or me at [email protected]. Lastly we have expanded our review section with the addition of user reviews where you can add your own opinion on any of our reviews. 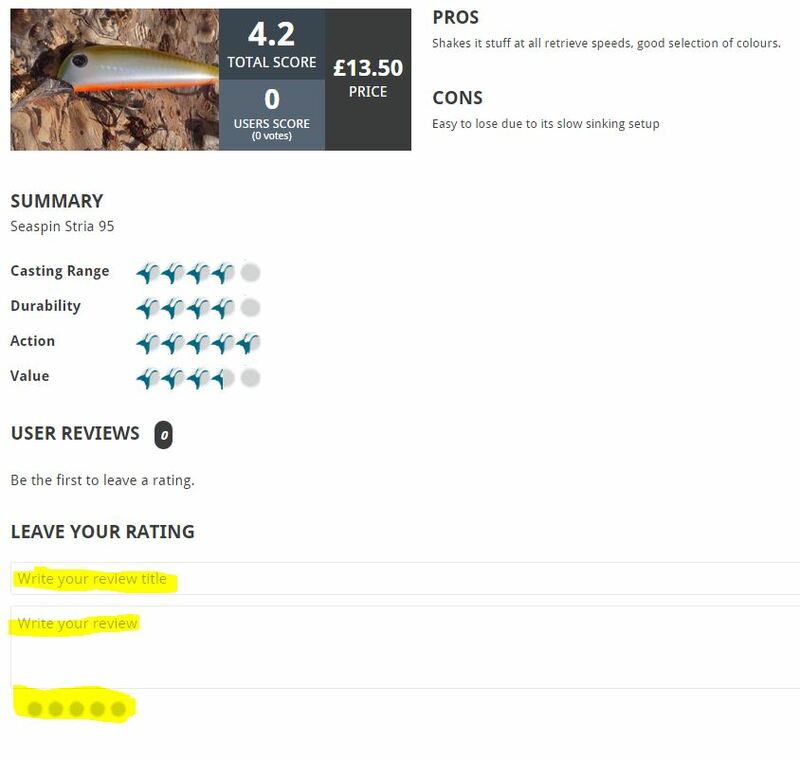 Just go to the bottom of any review posting and fill in the highlighted areas marked below. All we would ask is that you have actually used the item before reviewing it! Fishing Tails > All Articles > Reports > Chesil Beach > The Bass are back…..